A time-proven collection of blends made with the finest, most costly oils. 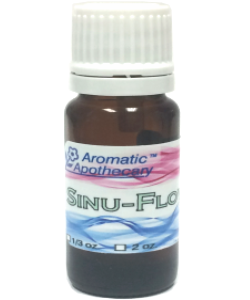 Aromatic Apothecary blends are 100% essentials oils ... no carriers, extenders or fillers are added. You can diltute them to any strength you require. Many of these blends are therapeutic alternatives to other leading brands. Connects with your inner self to help modify behaviors and problems. Keeps you alert, calm and collected on long or short trips. Helps eliminate food and pet odors. Keeps your car smelling great. Wildly romantic. Heightens mood, expands pleasure, creates bliss. 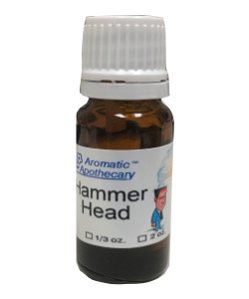 For When Headaches Are Predatory! 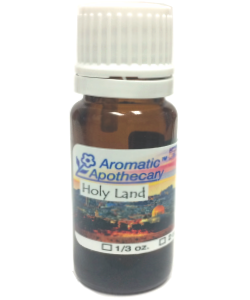 Holy Land Blend is Special, Fortifying and Useful. Beneficial in quelling agitated states of mind due to stress and tension. Created to help your body self-correct its balance and alignment. An Ancient Secret to Help You. 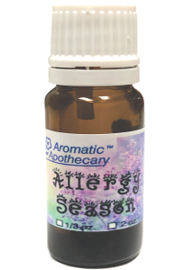 Helps relieve Seasonal Affect Disorder by making you feel happy. Fills your house with good cheer and puts you in the holiday mood.